Welcome to Day 2 of the Inspired By Stamping Release. So you've heard the old saying "heart on a chain"...how about "heart in a bird cage"??? January's release makes Valentine's and sweet cards simple. Plus most all of the sentiments can be used throughout the year. 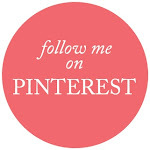 Visit the Inspired By Stamping Design Team for more inspiration. Tomorrow is the big reveal day with more creations from the design team and the stamp set will be available for purchase at the Inspired By Stamping shop. I will also have all the details on my sneak peak cards and how I made each. Pretty card, I really like the colors you used! Love the added blue! Super cute card Amber! 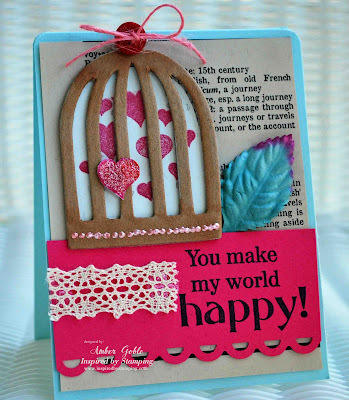 I love the hearts with the birdcage! Hope your staying safe and warm and enjoying your snow! I knew you'd love working with plain ole cardboard!!!!! Cute little card and I do love the stamp. Amber!!!!!!!! This is just too adorable! the cage is such a cool idea! I love the blues and pinks!!! beautiful! Your card is gorgeous!! I love the dictionary page!! Is such a nice touch!! That cage is awesome! !